Namaste » Overview » Do You Know? From the invention of the decimal system in mathematics to the noble philosophy of ahimsã, Hindus have contributed their share in all fields of knowledge and learning. Over five thousand years ago, when Europeans were only nomadic forest dwellers, ancient Hindus had established a civilization, known as the Indus-Sarasvati Civilization which flourished over 12,000 years ago. 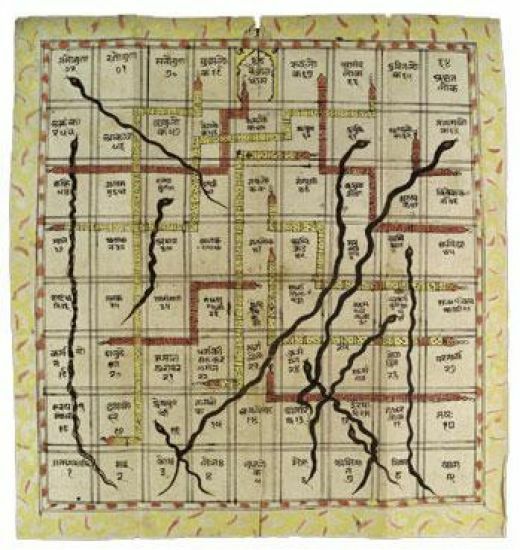 When much of the world was still sunk in sleep, people of the Indus-Sarasvati culture were conducting trade workshops in weaving, bead-making, pottery, dying of fabrics, and metallurgy. Although modern images & descriptions of India often show poverty, India was one of the richest countries till the time of British in the early 17th Century. Christopher Columbus was attracted by India's wealth and was looking for route to India when he discovered America by mistake. If readers, who have diligently read their schoolbooks on India, are surprised that they haven't been told of these ideas before, the fault is of the books they have used. Such books are as worthless as would be books on America, two hundred years from now, that describe only matters of conflict between race, language, and gender, ignoring completely the achievements of science, art, and imagination. The ancient and the official Sanskrit name for India is Bharat. INDIA has been called Bharat even in the era of satya yuga. The art of Navigation was born in the river Sindhu 6000 years ago. The very word Navigation is derived from the Sanskrit word 'Navgatih'. The word navy is also derived from Sanskrit 'Nou'. Ayurveda is the indigenous system of medicine in India. Ayurveda literally means 'the science of living' (longevity). Ayu means "Life" and Veda means "Knowledge". The origins of this system of medicine are lost in the hoary past, and the body of knowledge that comes under the heading Ayurveda constitutes ideas about diseases, diagnosis and cure, which have been accumulated over the ages past. The feature that distinguishes this system of medicines from other systems like Allopathy and Homeopathy is that it is solely based on herbs and herbal compounds. The medical system of Ayurveda draws heavily from the doctrines developed in the Charaka-Samahita. The main quality which Ayurveda has borrowed from Charaka is its aim of removing the cause for illness and not just curing the disease itself. In Ayurveda there are no such things as instant relievers, pain killers or antibiotics. The herbs used in Ayurvedic remedies do not operate against the body's metabolism, their effect is registered gradually and hence there are minimum side-effects. The constituents of Ayurvedic medicines are largely based on organic matter. The absence of fast registering inorganic compounds which are at times corrosive, contributes to the absence of side-effects from Ayurvedic medicines. Unique quality of Ayurveda is that it uncovers and cures the root cause of illness, it is safe, gentle and inexpensive, it sees 6 stages of disease development (where modern medicine only sees the last two stages), it treats people in a personalized manner according to their dosha or constitution and not in any generic manner. Hindu Kālagaņanā (chronologies) is the Oldest in the World! According to Indian tradition or Hindu Kālagaņanā, three chronologies are in currency. Firstly, the Kali era or Kalyabda, which has begun from the present Kaliyuga and hence it is 5107 years old. Secondly, the Kalpābda which has begun with the present Svetavārāha Kalpa, and hence it is 1,971,221, 107 years old. And thirdly, the Sŗsţābda, which has begun with the creation of this universe and hence it is 155,521,971,221,107 years old. One should notice that. Kalyabda is fit for narrating historical events of recent past while Kalpābda and Sŗstābda are suitable for narrating much older cosmological, geological, geographical, biological and other events such as the creation of this earth, creation of the sun, beginning of life on earth and so on. So the scientists may find in them the most suitable alternative to the geological time frame which they are now extensively using for describing such older events. So a rational mind may ask — despite having so many older chronologies, why the shortest of them, the Christian chronology has been given the status of an international calendar? Why the 21st birth centenary of a person is to be observed as the 21st century of the entire world? If a genuine thought is given to the matter, without any racial, regional, political, sectorial or religious prejudice, the Hindu alone deserves the right to be treated as the calendar of the world, since it is the oldest and based entirely astronomical science. So, it carries much more scientific sense in saying that we have entered the 52nd century of Kalyabda in 1998, than in saying that we have entered the 21st century of the Christian calendar in 2001. The Arabs borrowed so much from India in the field of mathematics that even the subject of mathematics in Arabic came to known as Hindsa which means 'from India' and a mathematician or engineer in Arabic is called Muhandis which means 'an expert in Mathematics'. Ancient Hindus were first to suggest a heliocentric solar system. Speed of light was calculated as 1,85,016 miles/sec. They had even calculated the distance between Earth and Moon as 108 diameters of Moon and Earth and Sun as 108 diameters of Sun. These figures are very close to the modern day values. All these were stated several thousand years before the famous scientist Galileo postulated in the west that sun was the center of the planetary system and Earth was not flat, which was against the prevailing religious doctrines and he died during his house-arrest by clergy. 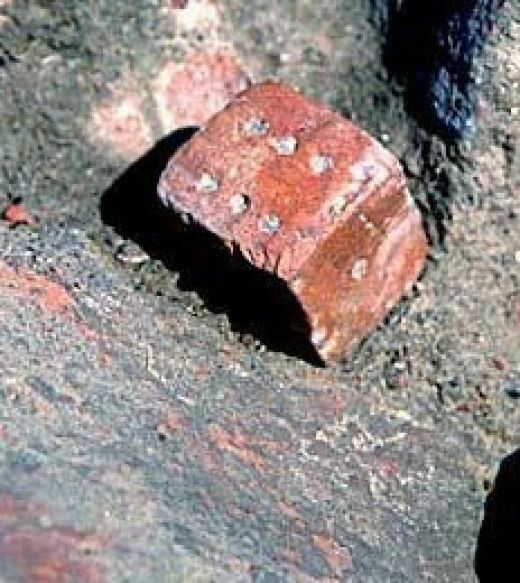 Another astonishing invention was ancient Hindus calculated the age of Earth as 4.3 billion years. The modern estimate is 4.5 billion years. Just remember that the biblical age of the Earth, as per Christians, is just 6,000 years!. 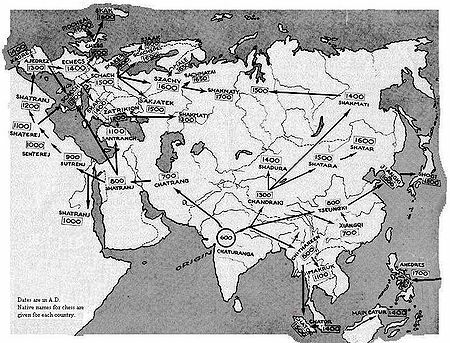 These Indian ideas about atom and atomic physics could have been transmitted to the West during the contacts created between India and West by the invasion of Alexander. Pythagorean Theorem or Baudhayana Theorem? India was invaded by Mohammedans during the time of Nagarjuna. It is possible that Nagarjuna's texts fell into the hands of the invaders, who could have transmitted these Indian Metallurgical sciences to the outside world. Yoga is a system of exercises for physical and mental nourishment. Apart from being a system of exercise, an important aspect of Yoga is that of self-discipline. The fundamentals of Yoga were systematically presented by Patanjali in a treatise known as Yogasutras i.e. Yoga Aphorisms. According to Patanjali, within the human body there are channels called Nadi and centres called Chakra. If these are tapped, The energy hidden in the body can be released. This energy is called Kundalini. The release of Kundalini enables the body to acquire many powers which are normally beyond its capability. Yama (universal moral commandments), Niyama (self-purification through discipline), Asana (posture), Pranayama (breath-control), Pratyahara (withdrawal of mind from external objects), Dharana (concentration), Dhyana (meditation) and Samadhi (state of super-consciousness) . But though the Yogasutras were formulated 2000 years ago, Yoga has been practiced for countless generations, it is only in the last few years that scientists have begun to recognise the powers of yoga. It has now been established through experiments that by practicing Yoga, several ailments can be cured. Tests conducted on Yogis show that they do acquire extraordinary physical powers. For instance, they can live without oxygen for a long time, they can also adjust their metabolism if they have to remain without food for long periods. Yoga is being increasing applied in the field of Physiotherapy. There are innumerable asanas (poses) in Yoga. Most of them derive their names from the semblance of the body in those poses to different animals and objects. Yoga is a multifarious system, there are various forms of discipline touching different aspects of human life, which are brought under the heading Yoga. Matsyasana (pose like Fish pose), Mayurasana (pose like Peacock), Simhasana (pose like a Lion), Halasana (pose like a Plough), Shavasana (pose like a dead body, in absolute stillness). From the days of British colonial rule we have developed a habit of following the Christian, or rather the Gregorian calendar. The main difficulty of this chronology is that, it originated only nearly 2000 years ago and hence incapable of accommodating events of long past as stated above. The geological time-frame invented by the scientists can take care of events which happened not earlier than 4 billion years ago. Most importantly, the origin and the process of counting months and years in Gregorian calendar are in no way linked to astronomical events. That is the reason why it was a matter of dispute whether the month February in 2000 A.D. would contain 29 days or 30 days. Some texts try to establish a link between the birth of Jesus and the beginning of this Christian or Gregorian calendar and say that a bright star then appeared in the sky. According to the famous German astronomer Johannes Kepler, it was a conjunction of the planets Jupiter and Saturn in the zodiacal sign Pisces and the incident look place in 7 B.C. Most of the historians and researchers on Jesus believe that he was born somewhere in between 6 B.C. and 4 B.C. Moreover, the people who are connected with the origin of this calendar, possess entirely childish and amusing ideas about the creation of this universe and its antiquity. The Irish prelate James Ussher in 17th century openly declared, without giving any thought to the possible repercussions of his statement that this universe originated on February 26, 4004 B.C. at 9 a.m. Even today most of them believe that God created this earth and heaven within six days from nothingness and finished His task on that day. In fact, the present Christian chronology originated in 753 B.C., the year of foundation of the city of Rome. In its original form, 304 days divided into 10 months made a year and its present form bears the testimony of this fact. At that time the parting 4 months, namely September, October. November and December were the 7th, 8th, 9th and 10th months of the year and their names were coined from septem, octo, novem and decem, the Latin words for 7.8.9 and 10. This shows the colossal lack of knowledge the Romans of that time had about the solar cycle and one can easily imagine the frightening disharmony it had with the solar cycle. Here one should also notice the striking similarity between the Latin words for 7, 8, 9 and 10 as mentioned above and the Sanskrit words saptam, astam, navam and dasam. This shows that the Romans learned the art of counting from India. However, in 46 B.C. emperor Julius Caesar introduced, quite arbitrarily, the month July after his name and then emperor Augustus Caesar introduced the month August after his name and made 12 months or 355 days a year. Then onwards it was called the Julian calendar. In 1582, Pope Gregori XIII, in his endeavour to make it in harmony with the solar cycle, introduced some vital revisions. He introduced the practice of counting a year normally of 365 days and, a leap year of 366 days every fourth year. Furthermore, he made the rule that, a centesimal year will be treated as a leap year only when it is divisible by 400. Despite all such efforts it was seen that, a discrepancy of 11 days had crept in the year 1700 A.D. A compromise was made in that year by skipping those 11 days and in fact, 4th September was counted as 15th September in that year. In the Eastern Europe the said correction was done in 1917, when the discrepancy reached 13 days. According to the old calendar the Bolshevik revolution in Russia took place in October, but in November after correction. That is the reason why the Communists some times call it the Great October Revolution and some times the Great November Revolution. It is important to note here that, there is no scope of occurrence of such a discrepancy in Hindu calendar because months and years are counted here according to actual position of the sun in the sky. However, in 1752, only 5 years before the battle of Palāśī, this Gregorian calendar was adopted as the royal calendar of Britain and with the gradual expansion of the British Empire, it ultimately acquired the present status of an international calendar. So, one should notice that the Gregorian calendar has achieved the status of an international calendar not due to its superior scientific basis but due to military success of its followers. 'Hindu Kush' means Hindu slaughter. The Indian name for Hindu Kush mountain range was 'Paariyaatra Parvat'. Until 1000 A.D. the area of Hindu Kush was a full part of Hindu cradle. The name 'Hindu Kush' was given by the muslim conquerors indicating the Hindu genocide that took place in this region. The oral tradition of Vedic chanting has been declared an intangible heritage of humanity by UNESCO. In a meeting of jury members on November 7, 2003, at Paris, Mr. Koichiro Matsuura, Director-General of UNESCO, declared the chanting of Vedas in India an outstanding example of heritage and form of cultural expressions. The proclamation says that in the age of globalization and modernization when cultural diversity is under pressure, the preservation of oral tradition of Vedic chanting, a unique cultural heritage, has great significance. Panini (c 400BC), in his Astadhyayi, gave formal production rules and definitions to describe Sanskrit grammar. Starting with about 1700 fundamental elements, like nouns, verbs, vowels and consonents, he put them into classes. The construction of sentences, compound nouns etc. was explained as ordered rules operating on underlying fundamental structures. This is exactly in congruence with the fundamental notion of using terminals, non-terminals and production rules of moderm day Computer Science. On the basis of just under 4,000 sutras (rules expressed as aphorisms), he built virtually the whole structure of the Sanskrit language. He used a notation precisely as powerful as the Backus normal form, an algebraic notation used in Computer Science to represent numerical and other patterns by letters. Simply amazing ! I landed on this website while trying to get some information on the ancient Takshashila University. And I was entirely gripped and mesmerized by the content that is available here. Hats Off to the author who compiled such vast and valuable information. I do hope the India goes back like in ancient times, where people used to study to fulfill their thirst of knowledge; rather than to work for somebody else after finishing studies. The contents here prove that man has developed a lot in a lot of fields long back. But somehow with time, all this knowledge and development is lost and we are rediscovering everything again. Takshashila (World's 1st University) and Nalanda universities were the best and well known universities in world with more than 1 lac students from different countries acquiring wisdom.Britisher have literally f*ck up our culture (before leaving India,they Played a big game of destroying India culture slowly )…!! and many other invaders like Mahmud of Ghazni invaded India 17 times (1001 -1027 AD), looted lot of stuffs and destroyed many things…!! and the fact is people either dont knw such facts or they simply don't care. अब तो देख इसे जागो ! धनानंद को जड़ समेत ऊखाडो ! ये धनानंद है कौन कौन ? ( जितने देश के चरित्रहीन और बेईमान राजनेतिक , धार्मिक,व्यवसाहिक,सुचना व प्रसारण (मीडियाकर्मियों ) व शिक्षा और खेल जगत के आक्का उर्फ़ भांड नेता है जो खुद को खुदा मानते है. भाग्य के बने हुए तुम्हारे विधाता है -ये सब धनानंद की नस्ल है और इनके नाती भक्त ). लो अखंड प्रतिज्ञा आचार्य चाणक्य की तरह , की जब तक आप इनको जड़ समेत उखाडके ब्रह्माण्ड से बाहर नहीं फेंक दोगे तब तलक चैन की नींद नहीं सॉगे ! फिर देखो विश्व खुशहाल और शांति प्रिय बनता है की नहीं ! ये असली धरा पर पाप है …irrespective of caste, creed, religion and country, all over the universe). जो सत्य की बात करते है और असत्य का काम और नाम करते है! उसका ना बाप होता है ! जो लोग अपने आगे बापू लगाते है ! और राष्ट्र का पिताश्री बन जाते है ! वो राष्ट्र से भी महान हो जाते है ! वो राष्ट्र के बच्चो की माँयों के नजायज खस्म बन जाते है ! सतियों के भी नाम कलंकित कराते है! सती के बच्चे को भी , दो बापों की औलाद कहलाते है ! वही तो असल में पापी कहलाते है ! किस किस ने अपने आगे बापू, पिता का संभोधन लगाया है ! ख़ुशी ख़ुशी तुम ने भी इसे अपनाया है ! अपने को दो बापों की औलाद कह्लाया! इनकी मायावी माँयों बहनों के मुहं पे तमच्चा लगाया है ! इनके फिर भी समझ नहीं आया है ! मोदी ने वही फोटो, नोटो पर फिर से चिपकाया है ! इसी लिए तो मुर्ख कहलाया है ! सत्ता में आते ही इसकी कब्र पे नतमस्तक होते है ! है ना पक्के पांजी ..है ना इस नकली बापू के असली बच्चे ! Modern लुगाई के Modern बच्चे ! चरित्र के कितने सच्चे, है पुरे कच्चे ! तभी चाणक्य ने फ़रमाया है ! जब जब राजा अपने आप को भगवान कहलाया ! उसने राष्ट्र का विनाश करवाया! कौन कौन तुम्हारे घर घर में जबर्दस्ती घुस आया ! हर हर… घर घर… कौन कहलाया ..? हर हर महादेव , घर घर महादेव …तो ठीक है ! आदि काल से चला आया ! दूसरा हर हर "मोदी " , घर घर "मोदी"…ये भक्तों ने बनाया ! क्या त्रिकाल से पास कराया !?.. सुषमा स्मृति ने भी खूब गाया ! अपने को 56 का बताया , इसका मतलब तक समझ ना पाया ..
तभी तो मोदी =महादेव भक्तों का कहलाया ..
अब स्वयं देखो , किस ने चाणक्य की वाणी को सच कर दिखाया ! किस किस ने अपने ऊपर पुराण और चालीसा लिखवाया . बिना महादेव से प्रमाणित कराया! तुम ने उनकी मूर्तियों को अपने अपने घरों में खुशी ख़ुशी पुजवाया! तभी तो तुम्हारी समझ में ना चाणक्य और ना महाभारत आया! ..
तभी तो अपने आप को दो बापों का कुपु्त कहलवाया ..
अपने असली और नकली बाप का खूब नाम रोशन कराया ..
तभी तो तुम पन्द्रुक के वंशज कहलाये ..
जो अपने पिता इंद्र को भी ना पहचान पाए ! ..
पांडव नहीं हो तुम !? .अब घबराना छोड़ा .अपने वंश का राज स्वयं खोलो !.. तुम्हारे सब राज हम जान गए है ..तुम ह्मे नहीं पहचाने !? हम तो तुम्हे आदि ही काल से पहचान गए है! ..
असली नस्ल के हो ..पक्के हो! ये दुर्वााशा जी पहचान गए है !. चाणक्य की वाणी का "सच" सच्च सच्च बोलो ..! अब तो सिंहासन छोडो! …असली वाले तुम्हारे चचा जानी आ गए है ! अरे दीवानों! ..चचा जानी को पहचानों ..! ये कौन है चचा जानी !!? हम है असली पंगेबाज ! जय दुर्योधन जय कर्ण एकलव्य जरासंध शिशुपाल दुशासन और अश्वथामा की ! First of all congrats on putting up such vast info in simple way for readers,this info is so intriguing that it inspires me to learn or achieve more in life.. While the vedas and some scriptures are a great source of inspiration and spirituality for any individual who seeks them, this website throws a lot of data with the appearance of being scientifically founded. For instance, to say that "Bharatvarsh (is home to the oldest civilization in the world" simply goes against all evidence. Civilization has sprouted in many regions at the same time as man migrated out of Africa in different directions. Also to say that Sanskrit is the mother of all languages is plain ridiculous. Sanskrit is a very ancient language which has a mother. That mother is shared with many other languages some spoken today and some not. To continue to establish the "superiority" of Indianness and all things Indians goes against the quest of truth which is what the Sanatana Dharma postulates. It is also ridiculous to say Indians are great and everything bad happened because "foreigners" came in. Even the Indians in the Harappan civilization where people who migrated from Africa and are by definition foreigners. Not all scientific theories are factual !! Priya, the objective of this website is to share knowledge as understood from the Vedic perspective and to its best refrain from propagating the Western theories which has no scientific foundation. Just because the scientific community is working on a model that "man came from Africa or from Ape", it does not make it scientifically factual that we should change our Vedic views. It is just that they assume that way by collecting and arranging data that fits their presumed model and then the ones that do not fit into that model still remains unexplained or mysterious to date. There is nothing factual here and there is no ground to challenge the Vedic view using these dubious ideas. Also the theory that there is an "unknown" language before Sanskrit is also a flawed theory deliberately created to dismiss any non-western origin of knowledge. This propaganda by the Western scholars has been already dismissed by many scholars. Re: Not all scientific theories are factual !! POINTS RAISED BY YOU.HE HAS ALSO PUT FORTH HIS COMMENT THAT MOST OF THE WESTERN ANCIENT CIVILIZATIONS ORIGINATED FROM ARYANS. "RIGWEDACHE PRACHINATWA" AND OTHER AS" HARAPPA SANCRITI NAVHE MAHABHARATKALIN RAJYE" IN SEVERAL OF HIS PAPERS HE HAS SET THE PERIOD OF RIGVEDA. 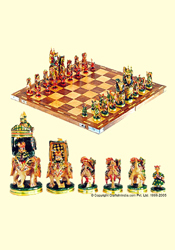 AS WELL THAT OF RAMAYANA AND MAHABHARATA. OF COURSE THE BOOKS WHICH I HAVE MENTIONED ARE WRITTEN IN MARATHI. SIR क्या आप बता सकते है की महाभारत में कितने श्लोक है , १००,००० नहीं है ये FIGURE गलत है . क्या आप बता सकते है की महाभारत की लडाई त्रेता में ,दोव्यप्र में. या कलयुग में हुई थी . द्वापर कब शुरु हुआ और कब ख़त्म हो गया ! क्या आप बतायेंगे की पहले दव्प्र्र आया था या त्रेता !क्या आप बतायेंगे की रावन को किस ने मारा था !क्या आप बतायेंगे की कौरव और पांडवो में कौन सब से समझदार था और कौन सब से मुर्ख था !क्या आप बतायेंगे की महाभारत में धर्म किस ने बचाया था! कृष्ण , भीष्म, युधिस्टर,अर्जुन, दुर्योधन,एकलव्य ,अश्व्थामा, कुत्ते ने, या कर्ण ने बचाया था , ककून ठीक थे कौरव ग्रुप ने या पांडव ग्रुप ने या किसी ने भी नहीं …! hari om, wonderful, its really great job to explain how India is great, i am very much thankful to the person who involved in this great job to publish in net. First of all hats off to the author!Namaste hey guys there is site hitxp.com it is an site by an indian physcist he has deciphered some codes in rigveda u should swing by there he too has written many articles on vedas and the advancement in scoence by india and aryans are not from europe guys they were indians and will be indians GOOGLE "ARYAN INVASION THEORY" bye . The West did not win by a superior religion, knowledge,ideas, philosophy etc.Savagery plunder and mass murder and destroying superior civilisations like the Asian, Mayan, Africans etc. Only thing in the west favour is the industrial revolution; which was a product of borrowed knowledge, African labour and raw materials. The world would have been a different place if these savages had not committed all this destruction and are still at it. Un civilises barbarians.When Gandhi was asked as to what he thought of Western civilisation, he is supposed to have treated it with disdain.